The Strike4Repeal campaign is a nationwide protest where students and workers alike are encouraged to take the day off work, withhold from household duties or wear black in order to pressure the government into triggering a referendum on the Eighth Amendment. The Eighth Amendment is an addition to the constitution that prohibits any cases of abortion within the island of Ireland, placing the same importance on the life of the unborn child and the mother. 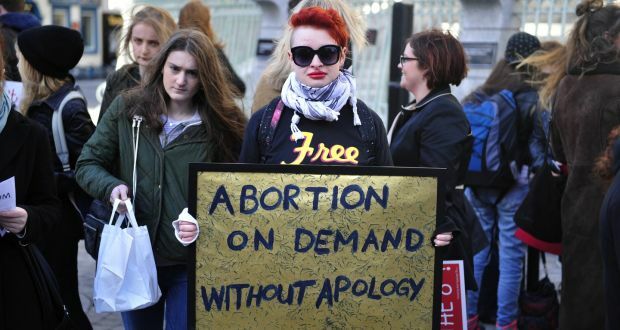 DCU law student Alannah Kearney, the organiser for the Strike4Repeal information night in DCU, outlines how the day or hour taken off work emphasises how the 12 women a day who travel to the United Kingdom for an abortion must take that day off too. “The campaign highlights how the majority of people are unhappy with the government’s inaction and the solidarity amongst both genders, not just women, who want a referendum announced by the 8th of March,” Kearney said. Due to the university’s referendum last year where over 50 per cent of students voted for the Students’ Union to adopt a pro-choice stance, the DCUSU are obligated to back this event. If there is no call for a referendum by the 8th of March, students may congregate on campus for a demonstration outside the Henry Grattan building at 1pm and attend a march in Dublin City Centre at 5.30pm. Kearney hopes for around 50 to 100 students to attend the demonstration outside the Henry Grattan. An information night will be held in the Henry Grattan building in C103 from 6pm to 8pm on the 21st of February where students may seek for more information surrounding the strike, learn about the events on campus and sign up for volunteering opportunities. A Citizens Assembly investigating into the Eighth Amendment is currently underway where the assembly will produce a report on its findings and submit its recommendations to the Oireachtas by the 23rd of April.